After receiving information that a youth residing in Ghatkopar allegedly killed a stray dog by purposely by running his car over him, People for the Ethical Treatment of Animals (PETA) India worked with Shubham Mahadik, an activist working for the welfare of stray dogs and approached the Mumbai Police who filed a First Information Report (FIR) against the perpetrator under Sections 279 & 429 of The Indian Penal Code as well as under Sections 11(1)(a) and (l) of The Prevention of Cruelty to Animals Act, 1960. The vehicle was impounded by the police and the accused was arrested and later released on bail. 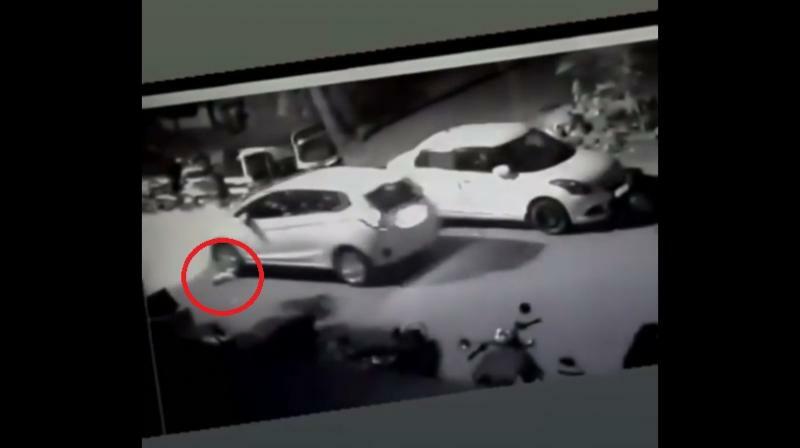 The CCTV footage shows that the accused ran over the dog at first with the front wheels and then over again with the rear wheels killing the dog on the spot. This incident took place at around 3 am on November 21. People who are cruel to animals often move on to human victims PETA India Lead Emergency Response Coordinator Meet Ashar says. It is imperative for the public to report cases of cruelty to animals like this for everyones safety. We shouldnt take undue advantage of the silence of animals just because they can't speak doesnt mean their screams cant be heard, says Shubham Mahadik. According to mentalhealth and lawenforcement authorities, people who commit acts of cruelty to animals often move on to hurting humans. In a study of domestic violence victims, 60 per cent of women said that their abusive partners had harmed or killed their dogs or other animals. PETA India has long campaigned to strengthen Indias Prevention of Cruelty to Animals Act, 1960, which contains outdated penalties, such as a maximum fine of only Rs 50 for convicted firsttime offenders.